LONG ISLAND CITY, N.Y. (WABC) -- A man from Queens is accused of driving his car on railroad tracks until the vehicle burst into flames is under arrest. Police say 25-year-old Ronny Mora was drunk Sunday night, when he drove his car onto the Long Island Rail Road tracks in Long Island City. 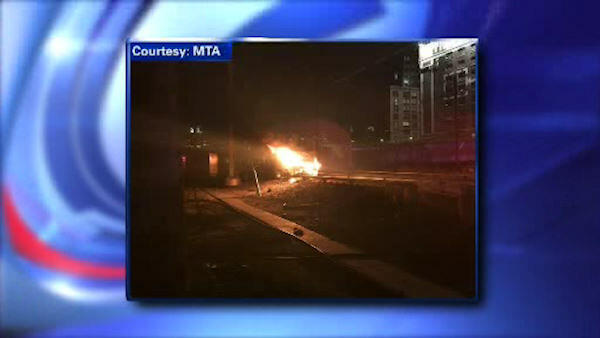 They say he only stopped when the car struck the third rail and caught fire. The accident caused service disruptions for hours.